Serverless applications are common these days as they don't need provisioning EC2 instances and configure web servers to run continuously. AWS Lambda provides high scalability and high availability of the application code. With AWS Lambda you only get charged for what you use. 1. 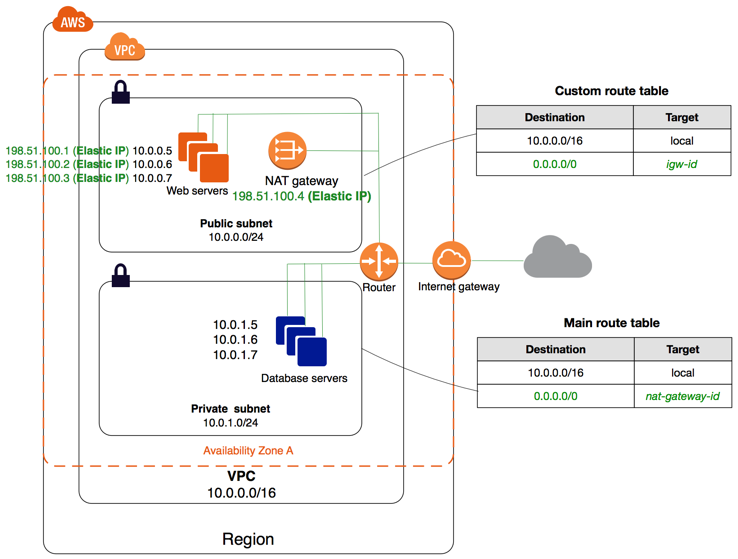 If you configure your lambda under VPC - you are unable to access services outside your VPC. The solution is a workaround to this by creating and assigning a NAT Gateway (Network Address Translator) and routing all your API requests to the internet so that all outbound connections from our Lambda will exit through it. An Elastic IP is then assigned to the NAT Gateway and that IP can be whitelisted by our third-party services. 4. Create a new Elastic IP address(EIP). A lambda function can then be created inside your VPC and a request can be made to the Internet to test results.